used 36mm Kenko Extension Tube and cropped heaps ..
this little bee has had a very bumpy ride in the free study .. I think this is an outstanding shot, and definitely in your comfort zone. You are simply a master at taking macro photos of insects. 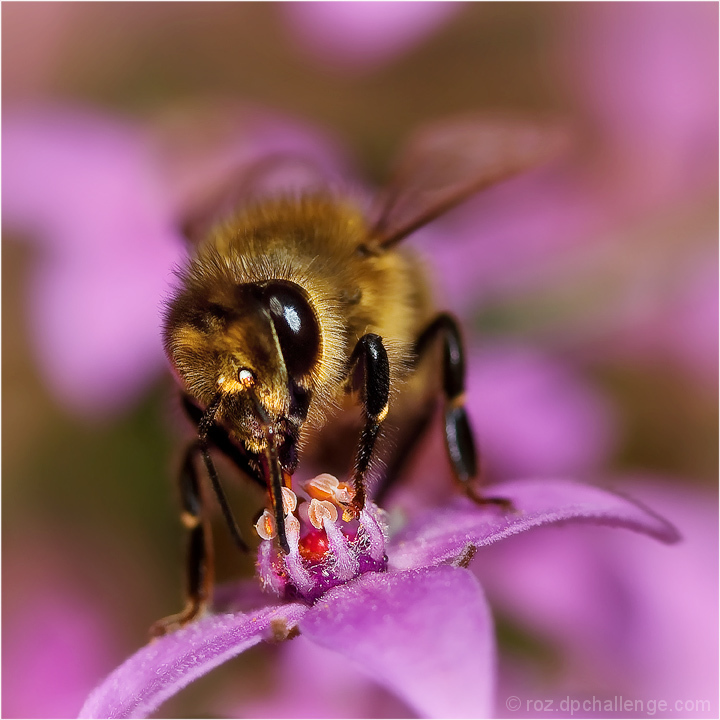 The strengths in this shot are the vibrate colors, and the shallow DOF which really focuses the attention on the hungry bee. Wow, top notch macro, love the floral here too. 7 - Mmm, exquisite detail on the flower center. A more refined crop, especially at the top, makes this a stronger image in my opinion. Proudly hosted by Sargasso Networks. Current Server Time: 04/24/2019 11:54:45 AM EDT.